Detailing the physical features, habits, territorial reach and other identifying qualities of the Pale Metarranthis. The Pale Metarranthis is one of the lighter moths of its genus, perhaps hiding as a light spot on the trunks of its favorite host plants. 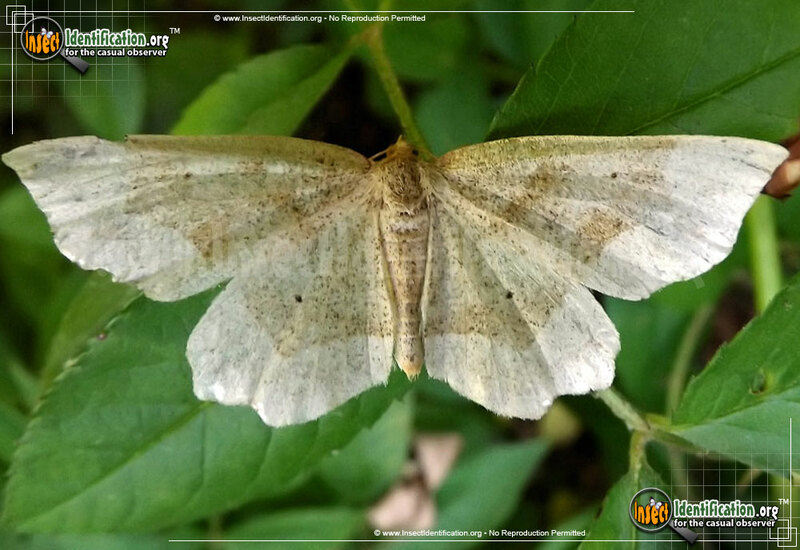 A dark and light brown moth, the Pale Metarranthis is covered in speckles that may allow it to more easily blend into the woody environment it calls home. It looks almost as delicate as tissue paper. The wings each have a rounded point at the bottom. When all wings are spread open and flat, it is easy to see the thick creamy-colored border that runs along the bottom of each of them. A thin dark line may appear where the brown interior begins. A brown streak or smudge curves around the 'shoulder' area on the forewings. All four wings have a single, small dark dot in the center of each wing. Caterpillars eat apple, persimmon, cherry, and sassafras trees. Look for adults from late spring into summer.